CTV News reports, “Dozens of Canadians have reached the next round of selections for a planned one-way ticket to space to set up a human colony on Mars. Mars One, a non-profit organization based in the Netherlands, is looking to establish a permanent human settlement on the red planet. It had a worldwide applicant pool of more than 200,000 eager space travellers to choose from. About 8,243 applications were from Canadians and the organization whittled down the candidates at the end of December to just 1,058. Of those, 75 Canadians made the cut, including 43 women and 32 men, most between the ages of 20 and 40. Psychology graduate Alex Marion, 26, is one step closer to the possibility of being among the first humans to ever set foot on Mars. Although he isn’t sure why he made the short-list, Marion told CTV News Channel that Mars One has a list of attributes they’re specifically looking for. An extensive application asked candidates to describe life experiences, submit resumes and make a video. “I was pretty thrilled. In fact, I could swear I smiled for over an hour. I literally could not help myself,” 21-year-old mechanical engineering student Tyler Reyno said in an interview with CTV Atlantic. Though Reyno is skeptical the project will get the funding it needs to take off, he is confident in the future of space exploration. 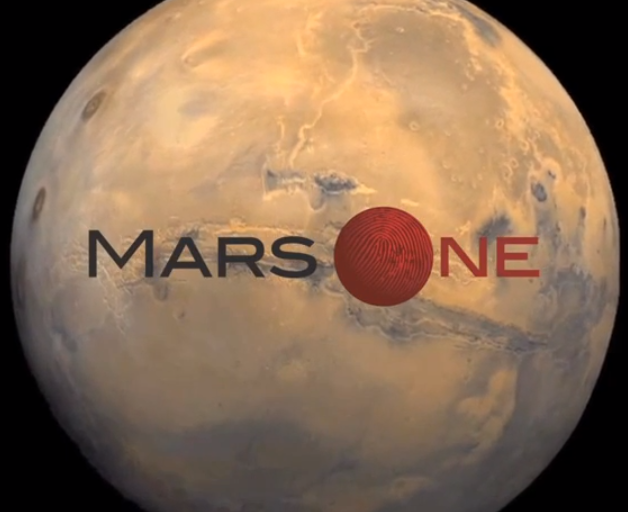 “If it isn’t Mars One, it’s certainly going to be some other company, if not my own,” he said. Space is a passion in his family, and the Canadian Forces combat engineer said most of his loved ones have been supportive. Zac Trolley, 31, is an engineer and has always had an interest in space travel. The plan is for a crew of four to depart every two years starting in 2024, with the first group arriving in 2025. Trolley said he has not met any of the other applicants but says the pool contains a diverse group of people who have certain skills. “Mars, if something goes wrong…there’s no emergency evacuation, there’s no help coming, it’s you and your team, the tools that you brought and the environment you’re in and how best to use it, and that’s what you have and that’s what you need to survive,” said Trolley. Some family members who may never see their loved ones again appear to have mixed feelings, however, if any Canadians are among those chosen to set up a human colony on Martian soil. Quebecer Audrey Roy, a 19-year-old technical engineering student, told the Canadian Press it’s always been her dream to travel in space. There were tears of joy and sadness among family and friends when they found out she’d applied to Mars One. “Most of them weren’t happy about it because if I’m selected, they’re not going to see me again, and that makes them sad and that makes me sad, too,” she said. She would also have Internet access, Roy said, so she could send videos and voice messages back home. Stephen Fenech, a Toronto-based director who’s 45 and is single, told CTV News Channel he’s seen a full range of reactions. “I’ve seen one extreme where it’s ‘That’s so cool’ and I’ve seen the other where it’s ‘You’re nuts, you know you’re not coming back, this is a suicide mission.’ I just take it all in stride,” he said. Claude Gauthier, 60, a University of Moncton math and physics professor, told CTV Atlantic he was surprised he made the cut because of his age. When he was younger, he applied unsuccessfully three times to become a Canadian astronaut. He said his two daughters are supportive, but his wife is unsure. Edmontonian Christy Foley, 32, and her 33-year-old husband, who have no children, both sent in applications. She was selected, and he wasn’t. Canada had the second largest number selected after the United States, where 297 candidates were chosen.